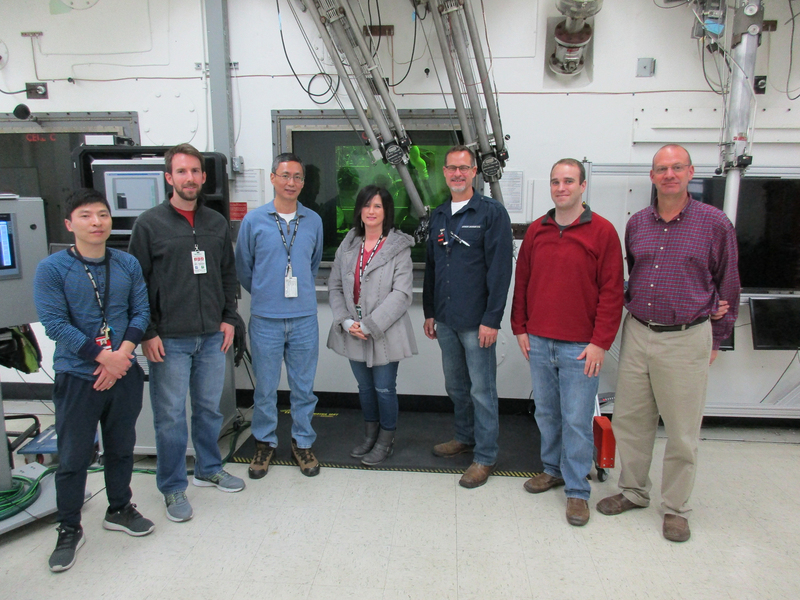 OAK RIDGE, Tenn., Feb. 8, 2018—Scientists of the Department of Energy’s Light Water Reactor Sustainability Program (LWRS) and partners from the Electric Power Research Institute (EPRI) have conducted the first weld tests to repair highly irradiated materials at DOE’s Oak Ridge National Laboratory. 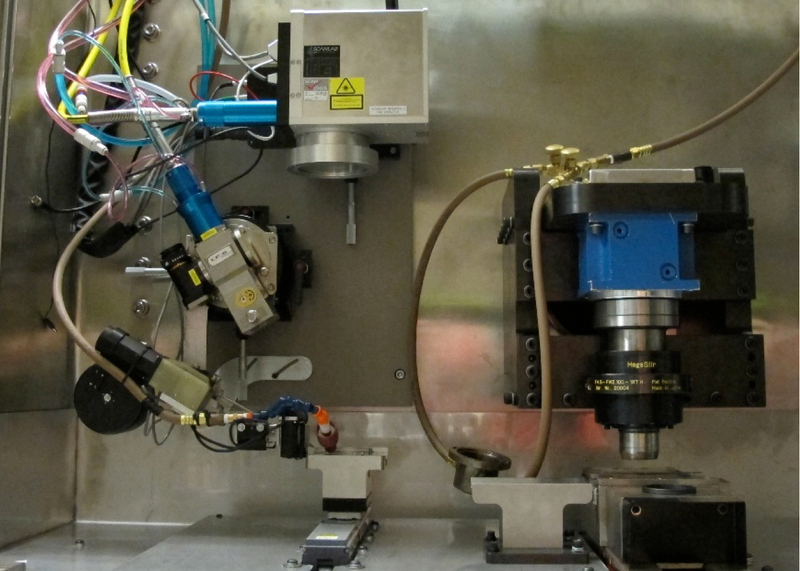 The welding system, designed and installed in a hot cell at ORNL’s Radiochemical Engineering Development Center, safely encloses equipment for laser and friction-stir welding. It will allow researchers to advance welding technologies for repair of irradiated materials by developing processing conditions and evaluating post-weld materials properties. As nuclear power plants age, materials that have been irradiated for several decades might require repair or replacement. Advanced welding techniques will be needed during the extended operational lives of America’s nuclear power plants; construction on most began in the 1970s. These plants generate approximately 20 percent of the nation’s electricity. 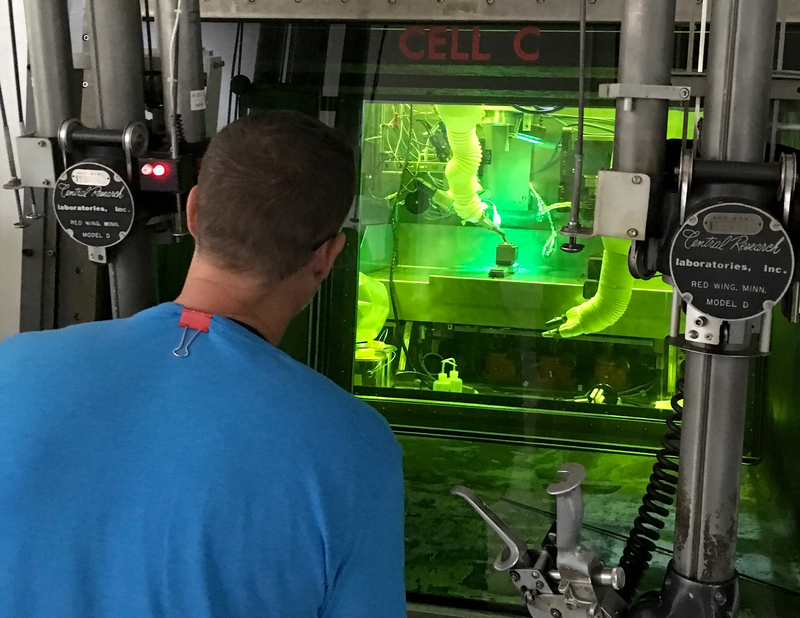 “Demonstration of advanced techniques for irradiated materials is a key step in validating weld repair as one mitigation strategy for extending the life of components and reducing costs for the nuclear industry,” said ORNL’s Keith Leonard, who leads research in the Materials Aging and Degradation Pathway for LWRS. Mitigation strategies focus on cost-effective repairs or replacements—either may require welding. During extended operation of reactors, helium is generated through the transmutation of boron impurities by reaction with neutrons from the reactor core. Furthermore, nickel, a common alloying element in structural alloys, will also generate helium, but through a slower two-step process. Helium generation depends on the material and its location in the reactor, but for reactors exceeding 60 effective full-power years, helium generation in core components can exceed 5 to 10 atomic parts per million—levels at which traditional welding techniques cannot be used to adequately repair components. Heat and stress drive helium to coalesce in stainless steel, forming bubbles along boundaries between “grains,” or micron-scale regions of order, that weaken the material. When metal is melted and resolidifies, differences in expansion and contraction between the newly solidified material and surrounding material can build tensile stresses along the weakened, helium-bubble-containing grain boundaries, inducing cracks. “That’s the biggest problem we face with welding irradiated materials,” Leonard said. The ORNL–EPRI system uses advanced techniques that introduce less stress than conventional welding, thereby reducing cracking. On Nov. 17, the first tests on irradiated material were performed at ORNL with a laser welding technique (see video below) that uses a primary laser to weld and secondary beams to reduce tensile stresses near the weld zone (a patent application has been submitted). The tests were conducted on samples, known as “coupons,” of irradiated stainless steel doped with 5, 10 and 20 parts of boron per million atoms. The materials were fabricated into playing-card-sized coupons at ORNL and then irradiated at the High Flux Isotope Reactor, a DOE Office of Science User Facility at ORNL. 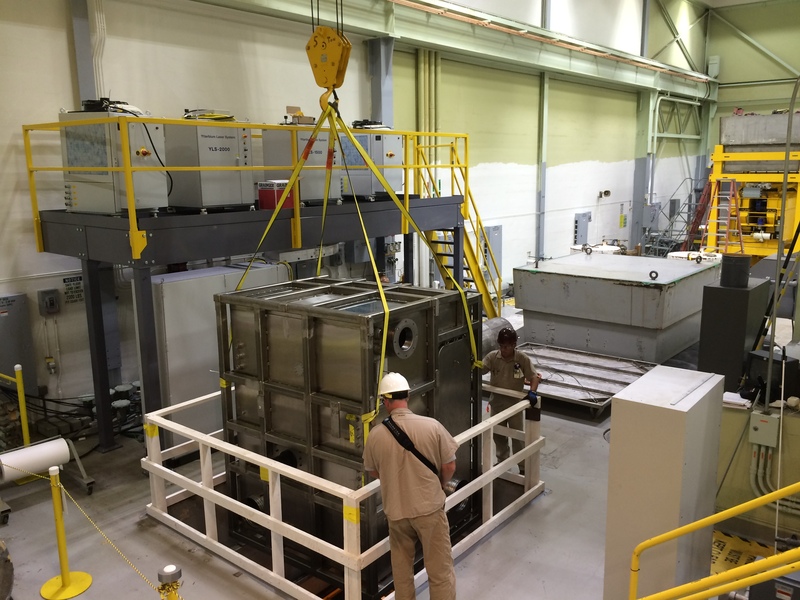 HFIR’s abundant, energetic neutrons bombard the coupons to change the boron into helium to simulate the aging that would occur in a commercial reactor after decades of radiation exposure. Nov. 21 saw the first friction stir welding (see video below) of irradiated stainless steel at ORNL. Unlike conventional arc welding, which employs molten materials, friction stir welding is a solid-state mixing technique that uses a rotating tool to generate friction and heat that softens materials but does not melt them. “At the microscopic level, the atoms of each piece of material get very close, and attractive forces pull the atoms together to form one piece,” explained Zhili Feng, who leads ORNL’s Materials Joining Team. Because friction stir welding occurs below the melting point, it avoids cracking in repair welding of irradiated and helium-bearing materials. An artificial neural network monitors friction stir welding to detect conditions that can cause weld defects. “The welding hot cell really established ORNL as a center for developing new techniques and new technologies for commercial nuclear power generation,” Leonard said. In addition to lab expertise in welding and materials characterization, ORNL strengths include diverse nearby facilities, such as other hot cells and the Low Activation Materials Development and Analysis Laboratory to support post-weld materials characterization, and HFIR to generate test material and further age post-weld materials. Next, the researchers will explore welding materials with higher helium content and characterize the irradiated materials after they’ve been welded, with techniques including microstructural analysis and mechanical property assessments. They will also re-age material in HFIR that has undergone a weld repair to see how further aging affects welds. The LWRS Program conducts research and development to enhance the safe, efficient and economical performance of our nation’s nuclear fleet and extend operating lifetimes. EPRI, an independent, nonprofit organization, conducts research supporting the safe, reliable, cost-effective and environmentally responsible use of nuclear power as a generation option. EPRI is developing tools to deploy the technology to nuclear power plants for on-site repairs. Once a joint patent issues to ORNL and EPRI, companies could license the technology to make those on-site repairs. 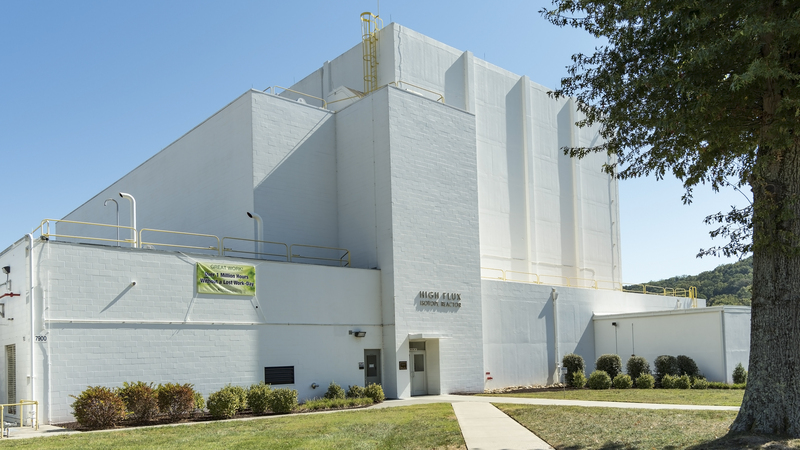 Research and development support for this project came from the US Department of Energy Office of Nuclear Energy’s LWRS Program, EPRI’s Long Term Operations Program and ORNL. DOE and EPRI shared costs for the development, design, fabrication, equipment and testing costs, and ORNL supported installation-related costs. Industry can gain access to this capability through DOE Office of Nuclear Energy funding opportunities or ORNL partnering mechanisms.